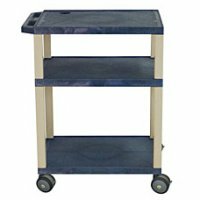 34 Inch Open Shelf Medical Utility Supply Cart - WT34S Colors - 3 shelf medical utility supply open shelf cart with color options and 12 inch clearance between shelves. Will not chip, warp, crack, rust, or peel. 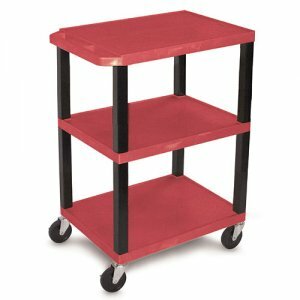 Shelves have a 1/4 inch safety retaining lip and a raised texture surface to enhance product placement and ensure minimal sliding. Four 4 inch silent roll, full swivel ball bearing casters, two with locks, maximum weight rated at 125 lbs. each. 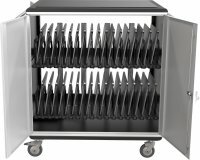 Dimensions: 18 inch depth x 24 inch width x 34 inch height. Shelves are 1 1/2 inch thick and made from recycled material. Legs are 1 1/2 inch square.